“Don’t Grow Weary…” It’s NEVER too Late to do the Right Thing! This is in reply to an article on FB today by Joshua Kenneth Verhagen where he was telling us who supported Independent 2016 Presidential candidate Evan McMullin to not feel bad because Evan McMullin didn’t win; but rather to “Not grow weary in doing good, for in due season you shall reap, if you do not give up!” (Galatians 6:9) Just as Evan McMullin himself is doing; continuing to do right, beautifully boldly speaking up against evil, especially of those in power, and where it appears to be leading into things getting WORSE, MUCH WORSE!! Right on! Very ENCOURAGING words, especially knowing what you quoted is scripture. (Galatians 6:9) What God says!! God HONORS (causes to work; in His perfect timing!) us doing in accordance with what His Word says. God is pleased when we take a stand for ‘what is right’ – ALWAYS!! That is what the lad David counted on when he went up against the Giant Goliath AND the vicious Philistine Army (which Israel, at that time, COULD NOT beat!) right behind him!! (1 Samuel 17) This is just one (of course, TRUE) story throughout the Bible of what is really a major theme throughout God’s Word – that God will bring VICTORY (success!!) if we TRUST HIM, and ‘take a stand’ for what is right!! In due time, GOD WILL even miraculously (as our Founding Fathers spoke of – then using the term ‘Providential’ referring to the ‘Hand of God’ intervening and bringing success. Not ‘chance’!) bring success!! We who know God and His Word, KNOW it will happen EVERY TIME!! Yes, Joshua, you are right; encouraging us to work at doing good with a mentality of it as an ongoing, even long term, thing. I know one major reason is because God is often changing minds, bringing leaders and their countries into the TRUTH (Hurray! ) the wonderful knowledge of what is right, true, good, moral, loving, joyful – what people REALLY want! And GOD wants for ALL people!! And for ALL to be free to know Him! Know God personally by being ‘CONVINCED’ of the Truth about Him & the Bible; not by THREATS! Truth I came into at 27 yr old. What Love & Joy! No coercion!! That’s NOT God!! I believe our US Constitution was inspired by God!! Gov’t created for the purpose of PROTECTING our God-given rights, which are for ALL mankind! FREEDOM of Religion, FREEDOM of Speech, FREEDOM of Press, FREEDOM to peaceably assemble, .. HURRAY!! Yes, Joshua, you are right!! When we do what is right, and often ‘against all odds’ (except for God coming thru! ), it is ALWAYS worth it!! BUT very often, God is taking time to bring a full VICTORY because of ALL that He wants to accomplish in the process! As with David, God had him outside of his own nation of Israel for 7 years before He brought him into being the new King of Israel. It was a time of education and growth both for David, and for the whole country – whose Military had been scared of the Giant Goliath & the vicious Philistine Army! (as Russia, China, Iran Nukes, N Korea). During those 7 years, Israel LEARNED it was a BINARY choice!! But NOT ‘the lesser of two evils’ as they had thought (Got to read the story! (1 Samuel 17) The Philistines offered Israel a deal! Lose or Lose! But by the time God moved David into being King of Israel, the country had LEARNED to do as the lad David had done 7 years earlier! — TRUST GOD and WIN, no matter what the odds! Every time! Binary = Good or Bad; Liberty 🙂 or Tyranny ! That’s the real BINARY choice! Stick with GOD, as our Founding Fathers did! And, as His Word promises, He will ALWAYS bring SUCCESS!! “If we do not grow weary in doing GOOD…” (Galatians 6:9) It may take time! Evan McMullin said he prayed before he agreed to offer his name as an Independent candidate for the 2016 Presidential race. I believe Evan heard God! A saying of Evan’s that I believe also became a saying of his many supporters during his campaign “It’s never too late to do the right thing” got strongly birthed into our hearts! I believe it is a saying that Evan McMullin has lived by, and has been able to live by, because of his relationship with God! Donald Trump, whom God loves, does not represent ‘what is right’, for the most part. BUT we who know God, KNOW He truly IS mightily at work! We recognize the Providential; and are able to work right along with God! 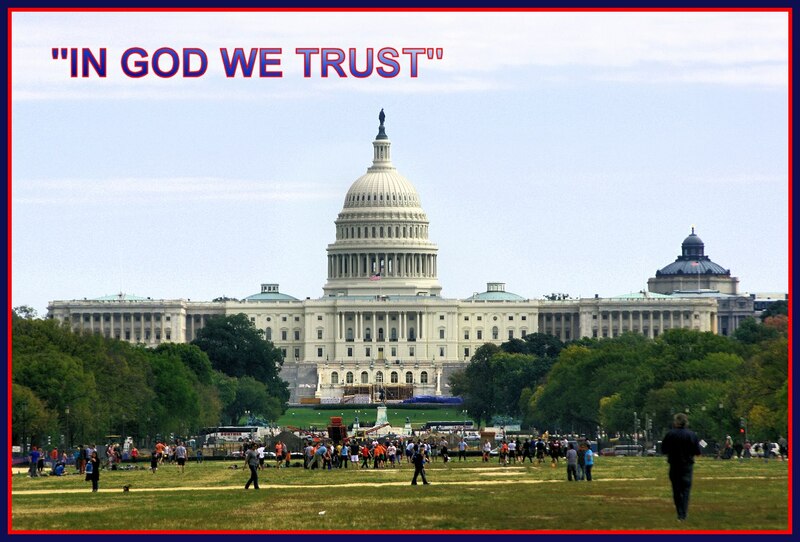 God cares about America! But He also cares about all the world! Let’s “Not grow weary in doing good”, but joyfully keep WORKING RIGHT ALONG WITH GOD!! HE will, day by day, bring success! Small, and LARGE!! – for sure!! Be PATIENT! GOD LOVES US — ALL! This entry was posted in "Nothing is too difficult for the Lord!" (luke 1:37), AMERICA-- Was and Is a Christian nation, Independent McMullin for President!, Mental Illness Help! "Nothing is too difficult for the Lord!" and tagged America, Bible, Christian, Communism, David vs Goliath, Faith, God, Jesus, LOVE, politics, Truth!. Bookmark the permalink.